Looking to live a gypsy-like life on your own property? 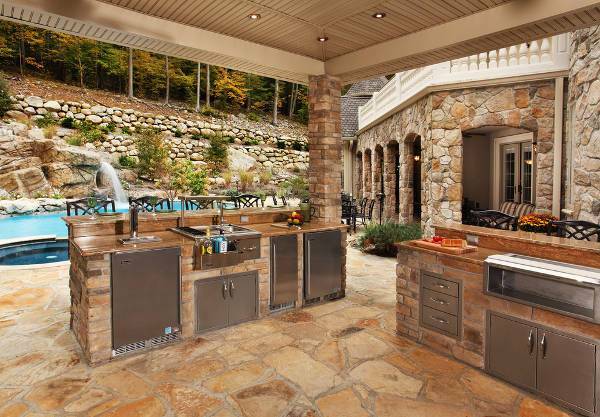 An outdoor kitchen room in your open yard can be a great idea. Another unique advantage of taking your kitchen outdoors is keeping your main property free and away from the kitchen cores. Use proper lighting and modular installation to make your cooking interesting and organized. 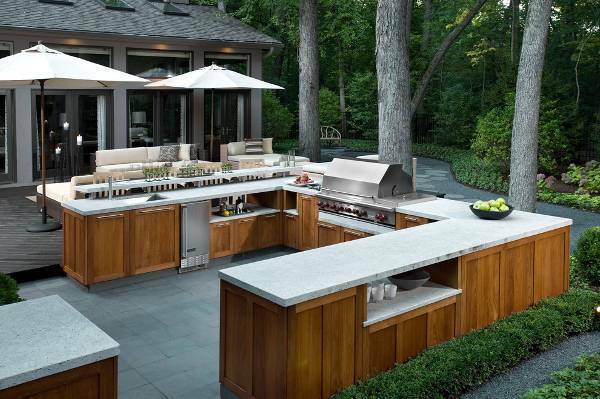 If you are fond of barbecues and regularly host guest who love the idea of coming together and cook for each other, this outdoor installation of your kitchen would be quite exciting. This space is highlighted by the oven set in a rustic platform. You can even set your dinner table on stone platforms, as shown beautifully in this example. 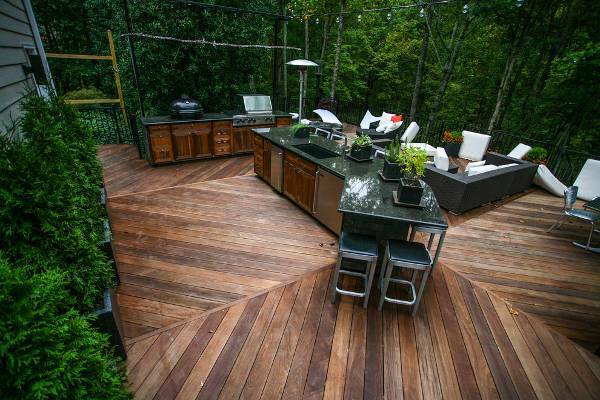 Another exciting idea for an outdoor kitchen, you can take the food affairs into the woods! A completely modular setup, the granite platform both act as a rustic addition and a shelter for your kitchen equipment. The wooden roof can be either covered or open, depending upon the time of the year. Add a modern seating and you will establish something really unique. 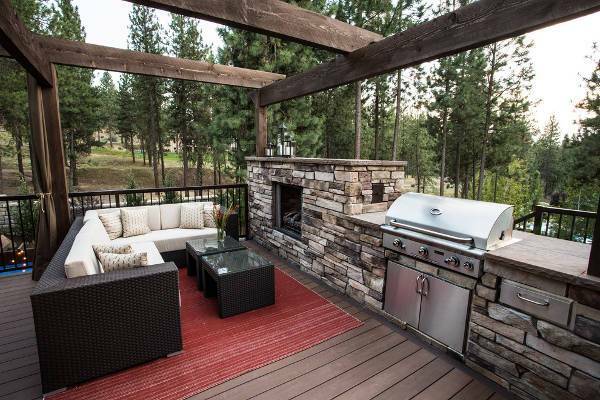 All that BBQ needs is a grill and a fireplace. 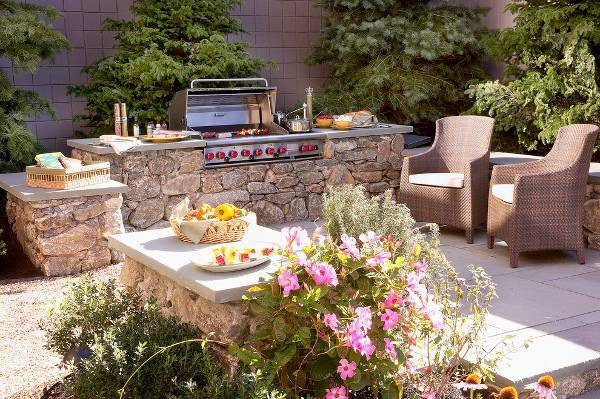 The good thing is that a fireplace can be exposed to the elements when not in use and the grill can always be carried inside. 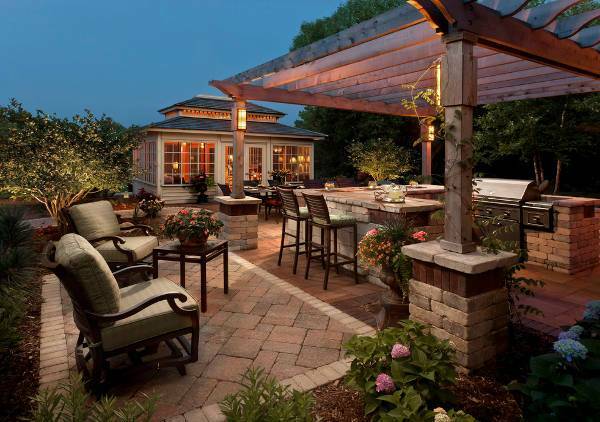 Given the space you have, you can always go for a permanent structure to suit your outdoor parties. Modular kitchen arrangements can be taken completely outside as long as you have an organized arrangement for it. 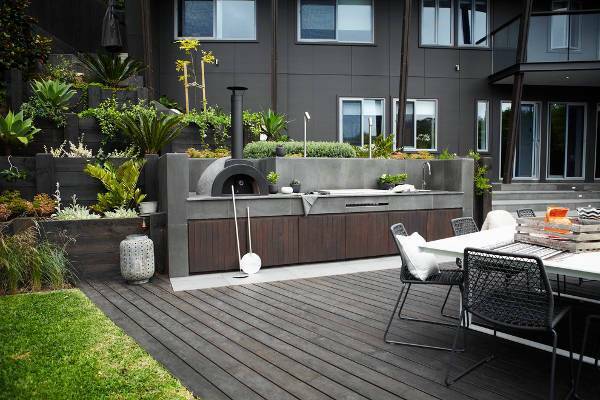 A permanent place for your steel sink will ensure that you will not have to worry about keeping our outdoor kitchen ready for the regular parties you host. 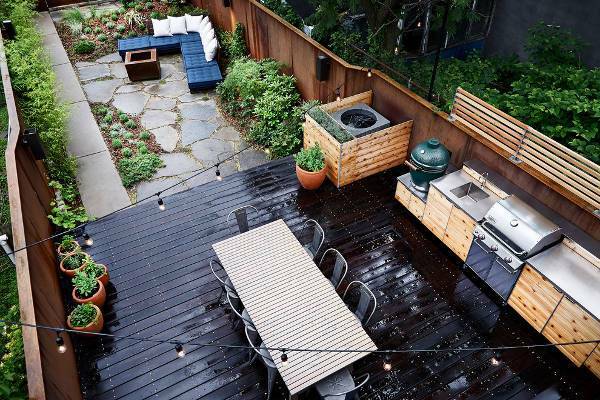 A kitchen space can also be an extension of your patio. 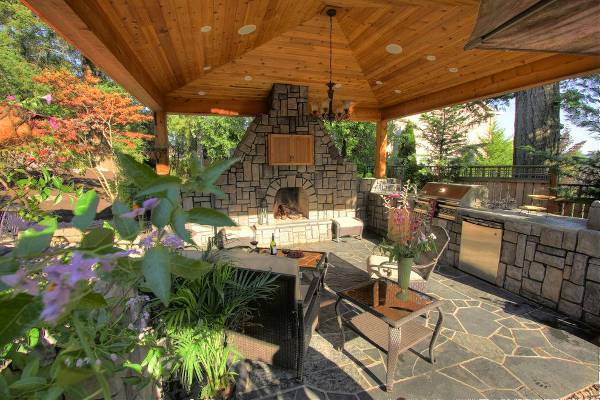 If you desire to take the cooking outdoors, only a roof will suffice. An amazingly rustic arrangement, you can create a fun traditional dining space. 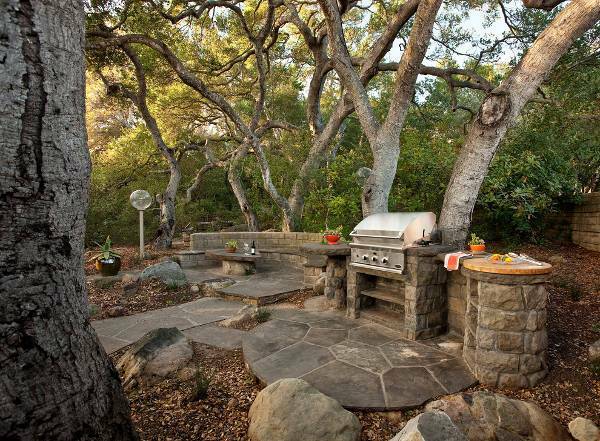 This would be perfect if you have a large property, concealed by nature all around. 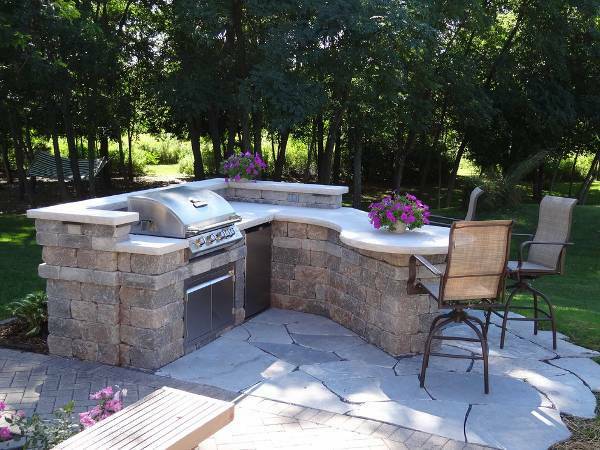 A small outdoor kitchen will just require a permanent setup from rustic materials – wood and stone. You can even choose for modular kitchen equipment to make your cooking easy and exciting. Eating outdoors is always fun! 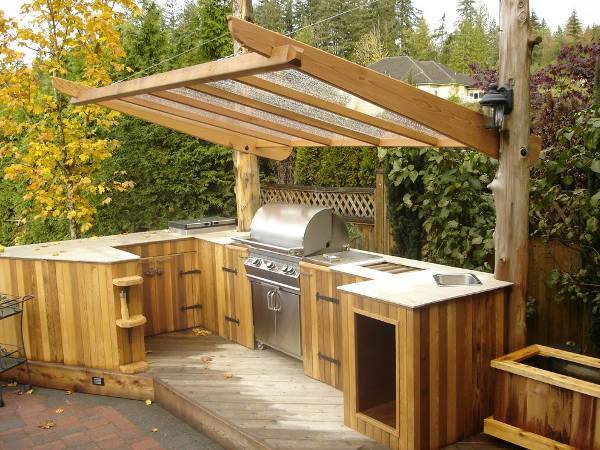 Here we see a completely modular installation for a kitchen space outside the property. The only thing missing here is a roof and walls and this makes things more exciting. This could be your kitchen space during holidays, weekends and other occasions for get-togethers. Design by : Heynssens + Grassman, Inc. 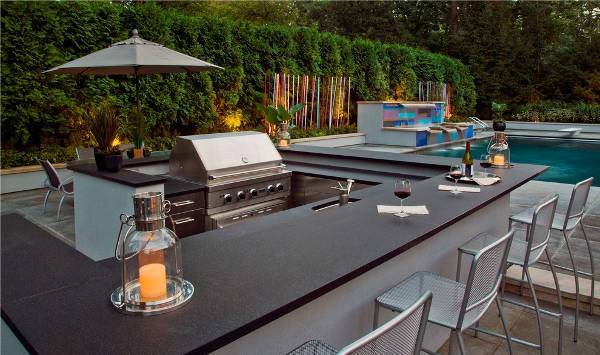 Outdoor kitchens are always exciting. 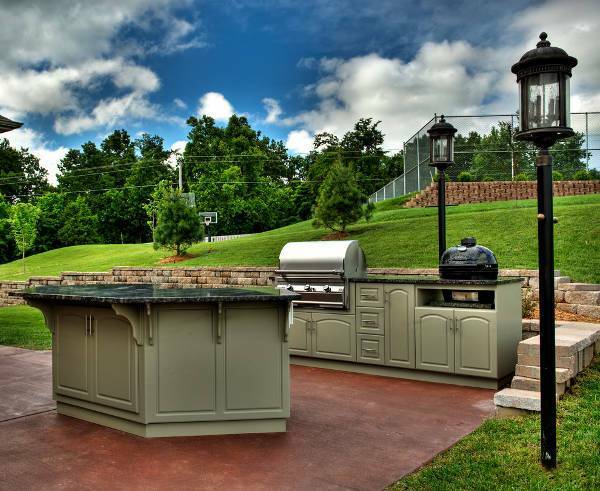 Whether you are looking for an outdoor grill island or a modern outdoor kitchen layout, there are several ways of going about it!